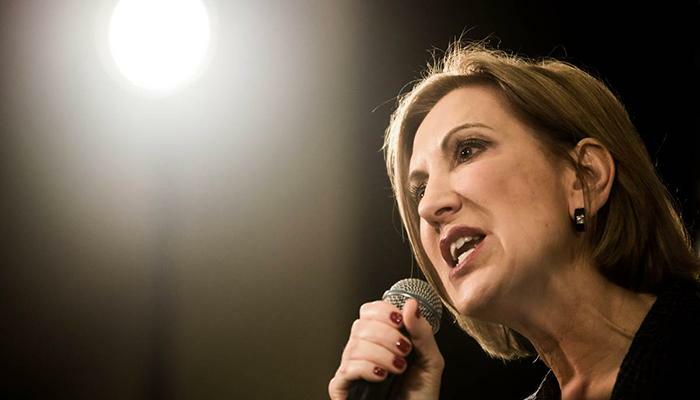 (Washington Examiner) – This is the first column in a 4-part series in the Washington Examiner by Carly Fiorina. This series focuses on what citizens can do to impact the political culture, their role in leading our citizen government, and will end with how to approach the 2018 midterm elections. The late, great Aretha Franklin wrote a song called “Who’s Zoomin’ Who?” She sang of two people, each of whom felt cheated on and victimized by the other, both of whom were engaging in precisely the same behavior. It is an apt analogy for the relationship between our politics and the media. President Trump decries “Fake News” on a near-daily basis, and much of the media harrumphs about the importance of an independent press in response. It’s hard to remember that he isn’t the first president to lash out at media outlets that are critical. He’s right. If one toggles back and forth between Fox News, MSNBC, and CNN, the respective viewers of those channels are indeed living on different planets. Trump’s attacks on the media are an admittedly extreme and disturbing example of something that has gone on for a long time. It is easier for politicians who face criticism or damaging revelations to claim they are being unfairly maligned by a biased, irresponsible press, than to attempt to explain, convince, or persuade. However, it takes two to tango, and the media certainly plays its part. Too much of the media has become about pleasing and growing an audience by telling us what we want to hear. The more our chosen media outlet agrees with us, confirms our opinions, and appears on our side (as opposed to challenging our assumptions or asking us to consider different facts or facets of a story), the easier it becomes to watch or read. Information drifts into entertainment; the easier it is, the more we watch or read. Media is a business, incentivized to fatten the bottom line. Talking heads are incentivized to keep us coming back. Too many of us live in our cozy, political corners, only hearing what we want to hear. When we hear something that challenges our beliefs, we are easily offended and too often assume we are being maliciously misled. All this is a perfect tool for politicians, who are eager to use the media as a straw man to attack, generating support and anger from their base. Both Republicans and Democrats use this tool to obscure the difficult issues they simply don’t want, or don’t know how, to deal with. A majority of Americans no longer trust the media. We all know, as did our Founders, that an independent, free, and often-adversarial press is vital to the functioning of a democracy. However, like so many other institutions, the media has lost credibility by failing to admit the obvious. The media routinely fails to acknowledge that they do much more than “report” a story. They shape a story, as well as the response to a story, by how they choose to edit the story: which people, perspectives, or facts they choose to highlight and which to diminish, how they choose headlines, how much time or space is given to a story or a personality. They routinely fail to acknowledge that they are a profit-making business in an increasingly competitive industry. Their business model demands that they constantly search for eyeballs, ads, clicks, and ultimately dollars. A profit motive isn’t evil, but it does change the incentives in journalism. Between politicians and the media, “Who’s Zoomin’ Who?” The truth is, while politicians and the media use each other for their own purposes, Americans are the ones truly getting “zoomed.” Most of us are concerned about increasing polarization in our civil discourse and a seeming inability to agree on even the most basic facts so that we can begin to actually solve problems. For our democracy to function, the public must be informed. It is our responsibility, and we cannot delegate it. We must therefore become active participants in informing and educating ourselves. We each must diversify our sources and confront ourselves with divergent points of view. We should purposefully, respectfully, and sincerely listen to those who challenge our biases. We must learn to acknowledge that a difference of opinion does not make us enemies. And we must practice thinking for ourselves, instead of relying on politicians or talking heads to do it for us. Like any flawed system, there are good people within it. There are honorable politicians and honorable, highly professional, independent journalists. We should lift these people up. However, we must also recognize that while politicians and the media are busy zoomin’ each other, it is we as citizens who must work to rebuild trust, recognize truth, and communicate respectfully among ourselves.